This week I had the opportunity to get involved in one of my favorite parts of the process… product branding. You may be thinking, what does branding involve for a private label FBA Amazon seller? 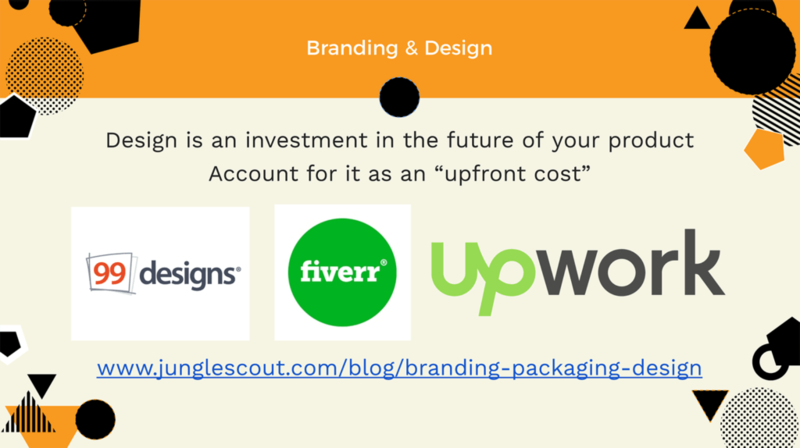 Well this week we covered all of this, from the creative aspects of thinking of your brand name, logo and packaging design, to the more business oriented aspects like getting a GTIN (barcode) and Amazon Brand Registry. I have already started this process with my product idea that I am launching into the UK marketplace first of all, and maybe other marketplaces to follow. So buckle up and makes sure you catch up on this insightful session! Have you been following our product research along with us, using the Web App? The life of a soon-to-be Amazon seller can sometimes involve juggling a few tasks at once. The best way to combat this is to stay organized, keep lists and spreadsheets of everything so you don’t lose track, and take it one step at a time. One way to do this is to plan out your week and block off some time to spend on specific tasks at certain times. This helps you to stay accountable and prevents you from getting distracted and doing too many things at once. Communicating with suppliers – right now my samples are on their way, but I am keeping a constant stream of communication with my top suppliers over Skype chat and WeChat. I am asking for updates on the samples arriving, questions about packaging which we’ll cover today, and any other questions I might have. When the samples come in, I will likely want to make some amends to the product, at which point I will try to hop on an audio or video call via Skype to get a decent response. 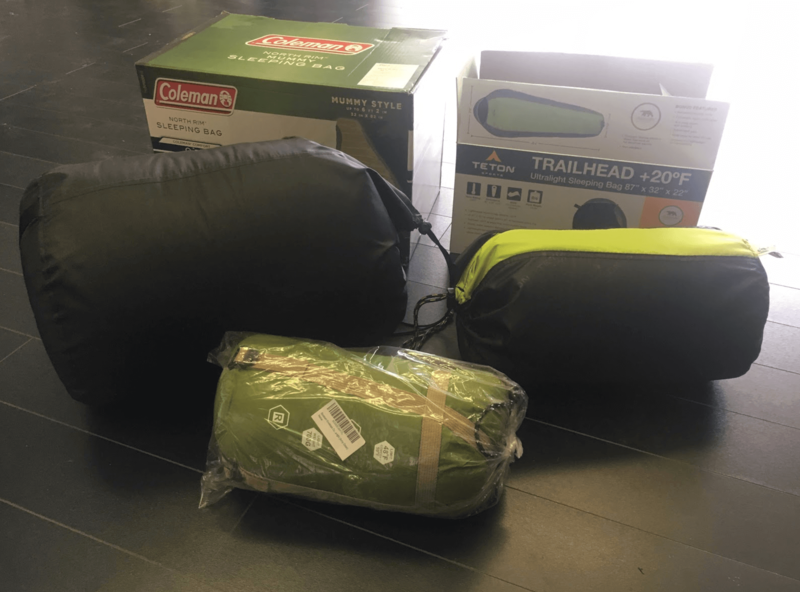 Ordering competitor products – I ordered some sleeping bags on Amazon Prime in Canada where I am based at the moment. It’s not direct competitors for the UK, but a great way to scope out what other sellers are doing with their products and packaging, as we will discuss further shortly. Forming relationships – Another task that I have on my to-do list is to start forming relationships with companies like freight forwarders, and inspection companies. This is something that we will cover in more detail over the coming fortnight! This sounds like a lot of work, but realistically, I schedule in a bit of time each evening to send messages to suppliers, and then I pencil in a few hours over the course of the week to work on things like branding. It’s definitely manageable! If you haven’t caught up with MDCS: Europe yet, you can find the full list of sessions with complete recaps and replays here! Selecting a brand name is actually much harder than it first appears. Mostly because people spend a lot of time and effort on this and want to get it right. This isn’t a bad thing, but in the case of branding an Amazon product, you may be overthinking it. I have created a big list of product brand names for my sleeping bags, some of them were strong contenders and others were totally silly. I used a whole host of websites and methods to find these ideas and it really didn’t take that long to do as an exercise. Greg and I decided to maintain the letters “J” and “S” for this product, since we already have Jungle Scout, Jungle Stix and Jungle Snugs. So within those parameters I started to search for words beginning with S, as I predict the first word of the product name will be ‘Jungle’. 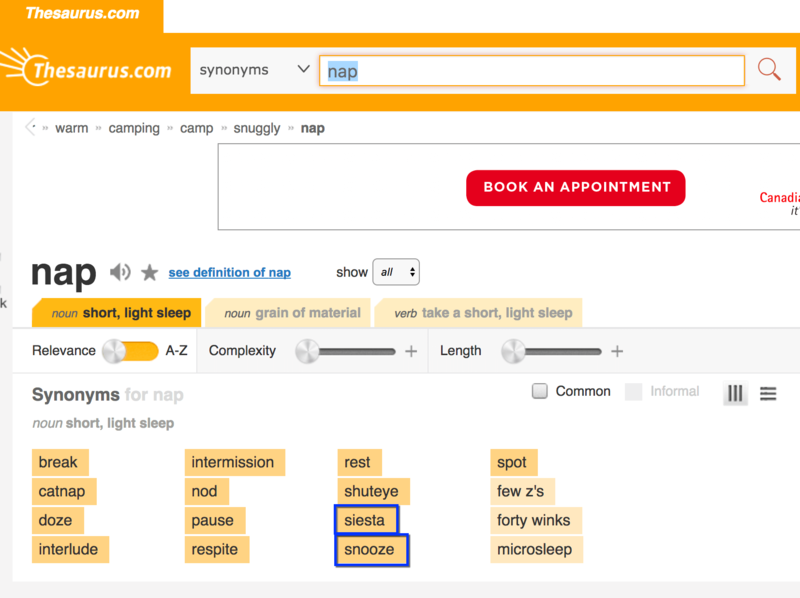 In this example, I searched for ‘nap’ and found ‘snooze’ and ‘siesta’. I can add those straight to my list! In a similar fashion to above, try searching for related words in Google’s image search. Oftentimes, visuals can really get the creative mind flowing. 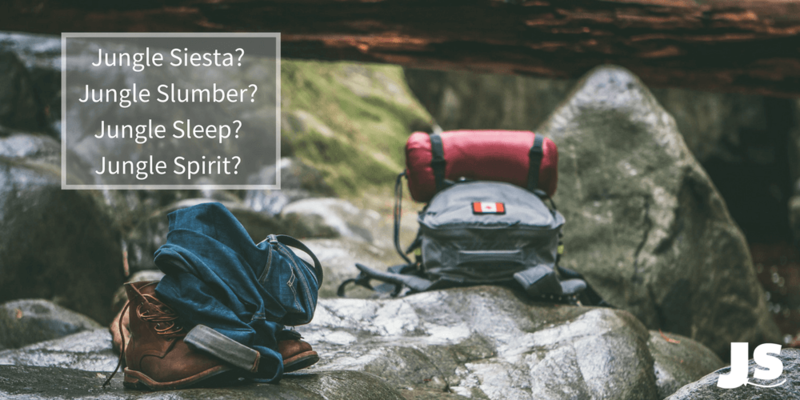 In my case I am going to sell a sleeping bag, and the things that I want people to feel when they use this product include: warm, dry, safe, adventurous… you get the idea. I can also search for qualities the product itself might have, like soft, lightweight, durable and so on. Once you have a list of ideas you can decide which you like the best, and how they fit in with your product and the brand narrative you want to tell. But try to remember that this doesn’t matter too much. You are not trying to become the next Nike or Apple on this. Note: If the product name you are looking for is also intended to be used to get a Trademark and enter the Amazon Brand Registry, then you should continue to follow along this post for further tips on how to research your brand name effectively. Most Amazon sellers aren’t designers by trade and sometimes this can cause worry about how to approach this. But don’t sweat it, there’s plenty of ways to go about this task. First of all, it’s worth mentioning that you should view any money you spend on design as an upfront cost (i.e. a one-off) and as an investment in the future of your product and your business. Greg’s advice in this session was that you usually get what you pay for, but that there are also some super affordable ways to get professional design work done. Many designers are multi-talented too, and will work with anything you can throw at them, including logos, packaging or infographics for your listing images. Upwork – This would be the next most cost effective option, there’s a variety of freelancers on this marketplace, the more experienced and talented of which you would likely pay more of a premium for. However, you can also get some really affordable rates for high quality work. 99designs – More of a high end option, you submit a brief and lots of designers will complete the work and the one that you like the best gets the payment (starting at around $300). 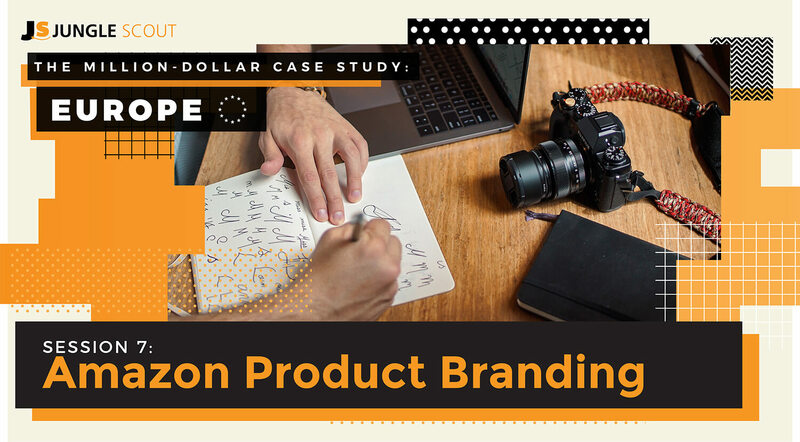 If you didn’t follow the US leg of the Million Dollar Case Study, Jungle Scout designer Adam provided a much deeper explanation of how to find a designer as well as tips on how to send a design brief. Check it out here! As I mentioned previously, I am already speaking with my suppliers and asking them questions like, “can you provide printed boxes”, “what types of poly bags can you provide for packaging?”, “can you print high-quality labels?”. It’s easy to think that you will sort out packaging later on, but realistically, once those samples arrive you will be speeding through negotiations and looking to place a deposit with your chosen supplier and order your inventory. At which point, your suppliers are going to be on your back asking you for designs and requirements. Most of you will be looking to sell relatively affordable products, in which case, it really is worth ordering a few competitors products from Amazon to see what they are like and how they are packaged. The one pictured at the front looks like an FBA product, it came in a very thin and torn poly bag, with only the FNSKU (Amazon barcode) printed. There was not even a suffocation warning which Greg advised is a requirement for this type of packaging. The other two products came in cardboard boxes that were fit for a retail store. The boxes were pretty nice and had lots of information on them, which would be a nice opportunity to instill value in the customer’s mind, ask for a review, include content in several languages if you were thinking of selling across Europe at some point. It’s important to ensure you have all of the right information on your packaging so that your inventory does not get stopped at customs when you import it, or by Amazon when they receive it in their warehouse. Having said that, here’s some top advice that Greg shared to help people like you and me get started. There are also requirements that Amazon requires for their warehouse which you need to ensure you are meeting too. For example, poly bags need a suffocation warning, you need to print your FNSKU on the outer packaging, any fabrics need to have no larger than a 1″ x 1″ opening to protect from dust. Overall, the main thing you need to consider is whether the packaging will keep the product safe, dry and whether it would easily be damaged or not. Poly bags are the most common and often the cheapest option, but it depends on your product. For example, with Jungle Snugs, we decided to go for a well designed box, because of the level of competition and the fact we were entering the niche with a high end hooded baby towel. Right, let’s get down to business. In order to sell a product on Amazon FBA, you need to print something called an FNSKU on your packaging as we have already discovered. An FNSKU is an Amazon specific barcode / identifier, that is only used and recognized in Amazon’s warehouses. For the rest of the retail world, something called a GTIN is required. This is a Global Trade Identification Number. In the US, these are called UPC codes, and in Europe and most of the world, they are usually EAN codes. You need to get a GTIN (UPC or EAN) in order to get an FNSKU for your product. There’s a few ways to do this, let me explain. This is the leading authority for barcodes and technically, according to their Terms of Service, Amazon requires your UPC or EAN to be GS1 approved. 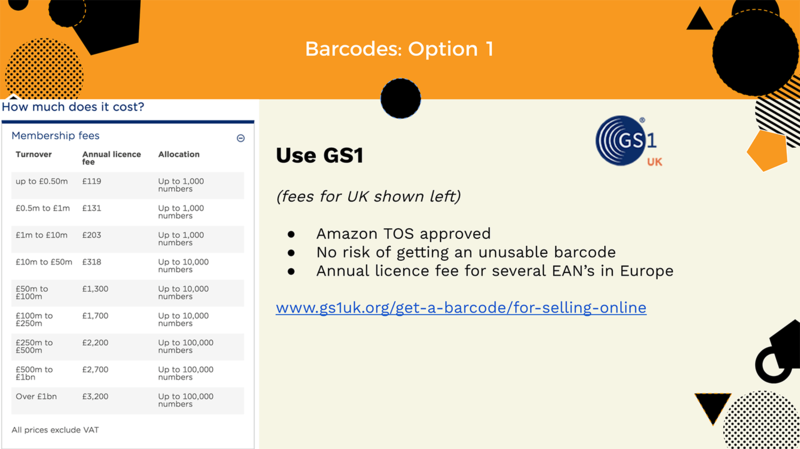 Here’s the link for GS1 in the UK, each country has different memberships and costs associated, but in all cases, it’s the more expensive option. There are other services such as speedybarcodes that buy barcodes in bulk from GS1 and sell them cheap. You can get a hundred barcodes at a very discounted rate doing this, but technically it’s again TOS. However, Greg mentions that despite being strict with the rules usually, this is one instance where most third party sellers are still using third party barcodes and not having any issues. It’s up to you to make that call, and it’s a good idea to get started on this now as we will soon be in the throes of creating a product listing! This means applying to Amazon to tell them that your product has no GTIN and state the reasons why. This sounds like a great option on the face of it, but there aren’t many products where Amazon will actually grant you an exemption. If your product falls into the GTIN exemption requirements then it might be worth a try, but otherwise I would assume you need to purchase some barcodes. What’s the catch? Well, there is only one real catch, in that you will need a Registered Trademark for your brand to get an application to brand registry approved. “But, I don’t know anything about Trademarks!” I hear your say? This is probably true of most Amazon sellers. The good news is that if you are just starting out, this is something you can do later on down the line once the sales are flooding in. Additionally, it’s not too difficult a process to go through with the correct research, so try not to ignore the possibilities. I discovered a neat hack for getting several products into the Brand Registry using just ONE registered trademark. This method means that you select a brand name that is more open-ended and then brand all of your products this way. 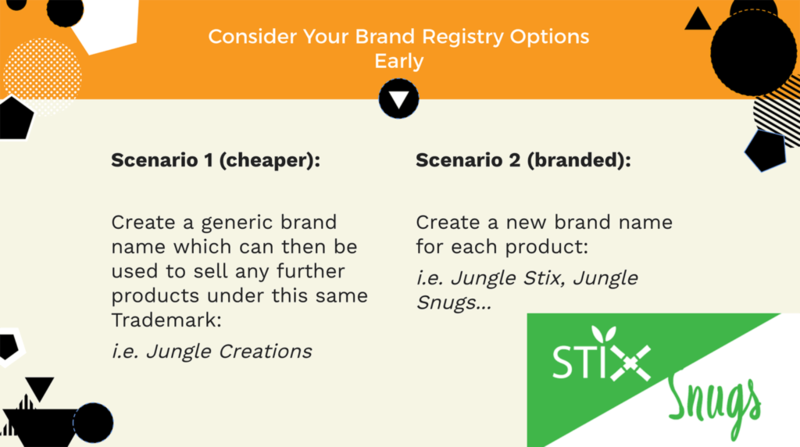 You could still have different product names for your individual products, so long as your trademark name is on your packaging somewhere (for example, Jungle Stix, by Jungle Creations). Note that this would reduce any actual legal protection if someone were to use your trademark and you wanted to take legal action. But if your main concern is to save money and get in the Amazon brand registry then this might be the way to go, as it requires just one trademark. Which Country Should I Register My Trademark? From what I can see at the moment, for the US Brand Registry you can apply with a trademark from several countries, where as in the UK, only UK or European registered trademarks are acceptable. 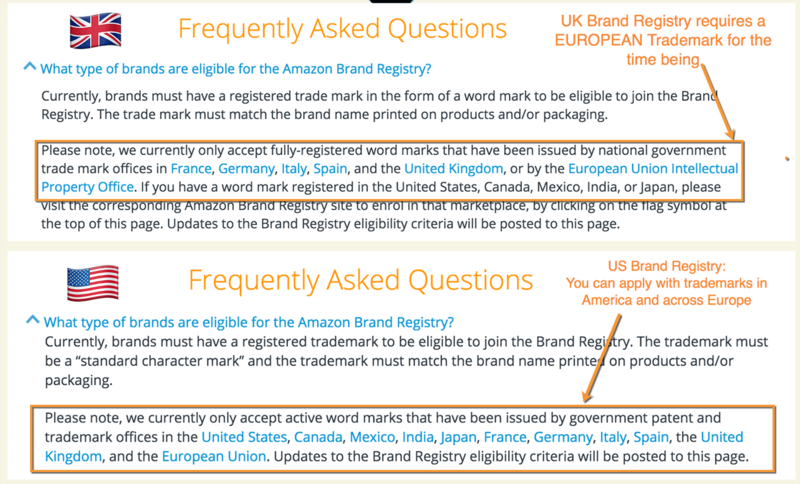 Amazon may change this in the future, but for the purposes of this case study, it would seem that the best option is to get a European trademark, which will then be useful even if you decide to sell your product in the US. This is something I have researched quite a lot, so for further information you can read this post here! Get a barcode from GS1 or a third party ready for creating an Amazon product listing! Here’s a list of useful resources from this session to help you out! Brand registry and trademarks are not required at this point. You can sell a product on Amazon without ever entering the registry. However, if you have high ambitions of building a successful business, then it’s something I’d say you should spend an hour reading about and understanding, so that you can plan for the future effectively. That’s all for this week, thanks for joining us. If you are following along with me as I launch a product, let me know your progress and thoughts in the comments below. Join us next week when we will make a head start on building a killer product listing and keyword research. I just bought from 5 barcodes from speedybarcodes and all 5 showed this message. You are using UPCs, EANs, ISBNs, ASINs, or JAN codes that do not match the products you are trying to list. If you believe you have reached this message in error, please contact Seller Support. I have heard this from a few different sellers now in the past week or so. I am not 100% sure yet but I believe Amazon may be trying to crack down on this. They actually introduced it into their TOS that you must use legit barcodes well over a year ago, but we have only just started to see signs of action on this front. My advice would be that if you are up for the risk, you could try some other UPCs, or another third party provider. But the best option would obviously be to invest in GS1 barcodes. Thanks for letting us know – I will be keeping an eye on this so we can provide updates for the community. Did you order your samples to be sent to Vancouver? I’m in Vancouver as well, looking to sell in US market. Thanks! Yes I did, as I was in Vancouver at the time when I was ordering and reviewing these samples. It was fairly affordable to get the suppliers to send directly to Vancouver, and they did let us pay with PayPal for the postage (Less than $40 shipping per sample). One thing to note, though, is that for most of the samples there was an outstanding customs charge to pay when the courier arrived with the parcels. How do you apply for a trademark in the uk if you do not live in the EEA? If you decide to do a Private Label but not the Brand Registry, can you change the UPC number to a model number on your listing? Thanks in advanced. If you don’t do Brand Registry then you will need a UPC number. As far as I am aware you cannot change this UPC number without getting brand registered.